After all the posts we’ve done so far, I think we’ve clearly established that SEO really is important for any online business. By using the best local SEO practices, it’s possible to become a serious contender in your local industry. E-commerce and digital marketing changed that. Thanks to the Internet, many local shops have begun enjoying a lot more exposure, just by taking advantage of the tools and strategies that are freely accessible on the Web. A lot of them even managed to grow their small businesses to bigger ones by making web technologies work to their advantage. With a little help and a lot of willpower, you can certainly do the same. Of course, it’s necessary to start somewhere—and where the World Wide Web is concerned, the local Web scene is usually a great way to start marketing. That is, as a businessman, you might want to look at local SEO before you turn your sights to the national or international levels. Local SEO is how you first gain high visibility in your area and it’ll prepare you for the reinforcement of your brand on a higher level. 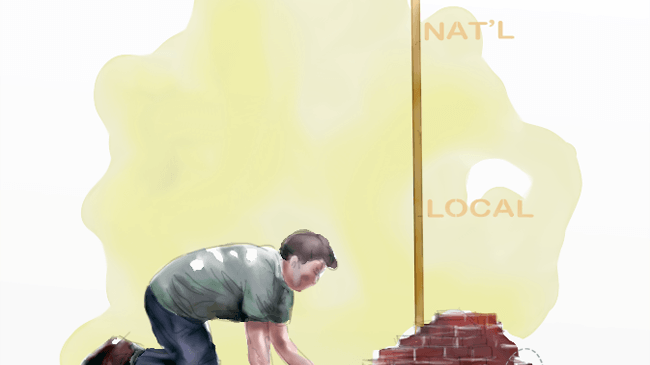 Establish solid Local SEO foundations and it will prepare your brand for the next level. 1. 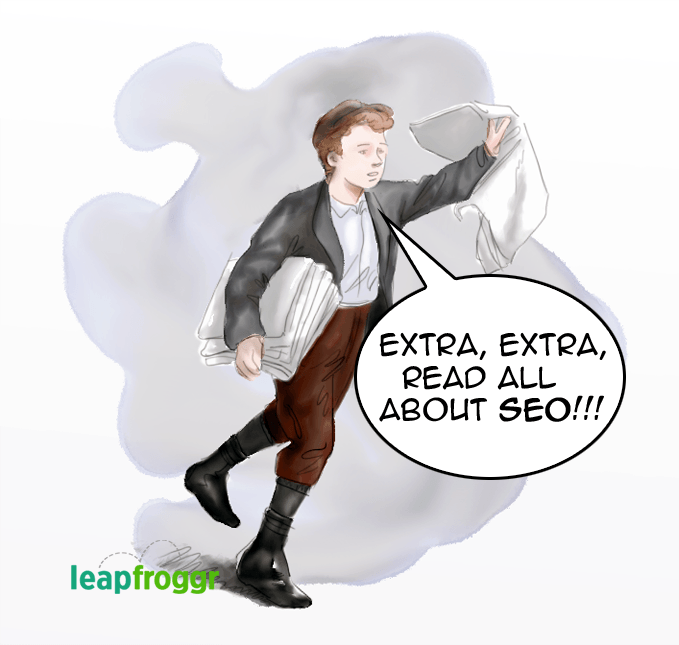 Focus on your pages’ on-page SEO. One of the most important things that you can do is ensure that all relevant details about your company are visible on all of your pages. Make sure that what you write on one page is also similar to what will appear on the other pages. You have to keep these important local details updated and consistent to make it easier for potential customers to find you. The kinds of information that should almost always be visible include your company’s NAP: name, address, and phone number. Other contact details, store hours, and a brief description of your business are important to add as well. Optimizing these details using schema/rich snippets (you can get a specialist to help you do this if you find codes confusing) will not only make them more attractive, but will also eventually help drive traffic to your pages. Making sure your User Interface (UI) and User Experience (UX) are very well done is also an important on-page factor. A common rule of thumb – if your mom doesn’t know what to do on your site, then you have a problem. Matt Cutts puts it as simply as possible. Geo-sitemaps/KML are still helpful so be sure to add them in aside from your usual sitemaps. Meta Titles and Descriptions should be optimized as well but do not just stuff it with random words. Finally, take care to only post content that will be useful to your page visitors. Your posts should be inspiring and engaging in such a way that people will be more inclined to stay on your page, then hopefully convert. Bing and Google have Bing Places and Google My Business (Places) that allow you to create a business directory where you can put all of your company’s relevant information, such as full address, contact details, and description. These listings will heighten your shop’s visibility, even more so when you optimize your listings using geography-specific keywords. In the Philippines, you can find a lot of sites where you can upload your listings, such as localdirect.com.ph and yellow-pages.ph. Take note that you should still be picky when it comes to posting your listings. You should aim for directories that have content specific to the nature of your business. These directories can increase your page ranking in the SERPs because of the connected links, but try not to get too many sites that “require” reciprocal links. Be sure to fill each up with as much information as possible and make them unique but keep the NAP consistent for all. Some sites won’t give you a link back but that’s ok as long as they have a mention of your brand. These citations are important as well for your brick-and-mortar store. Not only will these help drive traffic to your page, but will also deliver more people to your doors. That’s why it’s so important for you to optimize your listings and not neglect to indicate important details. Notice the map that pops up when you do a search for a local restaurant? 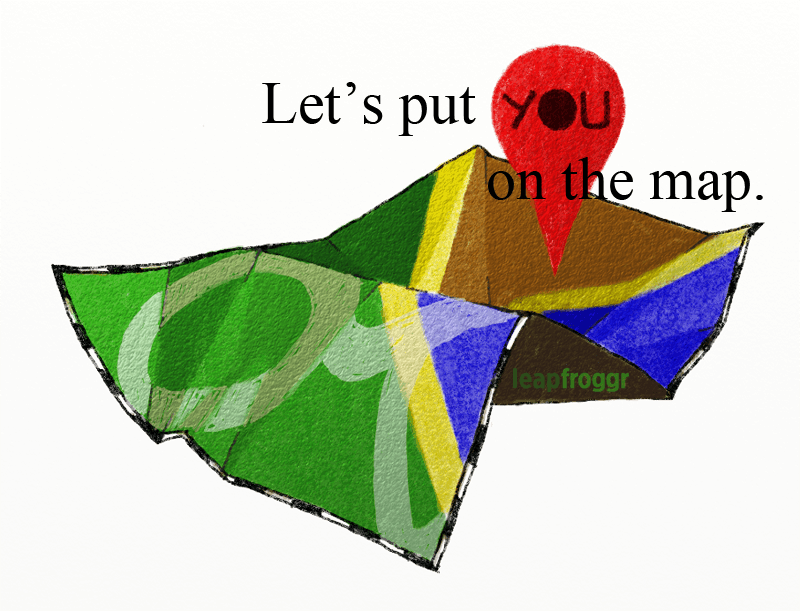 Having a Google+ local business page will put your business on the map. It will serve as a detailed advertisement for your company on the SERPs, and it will provide people with the information that they need to know about your business and its products and services. Already have a Google Places listing? You can merge your Google Places page with your Google+ Business page. 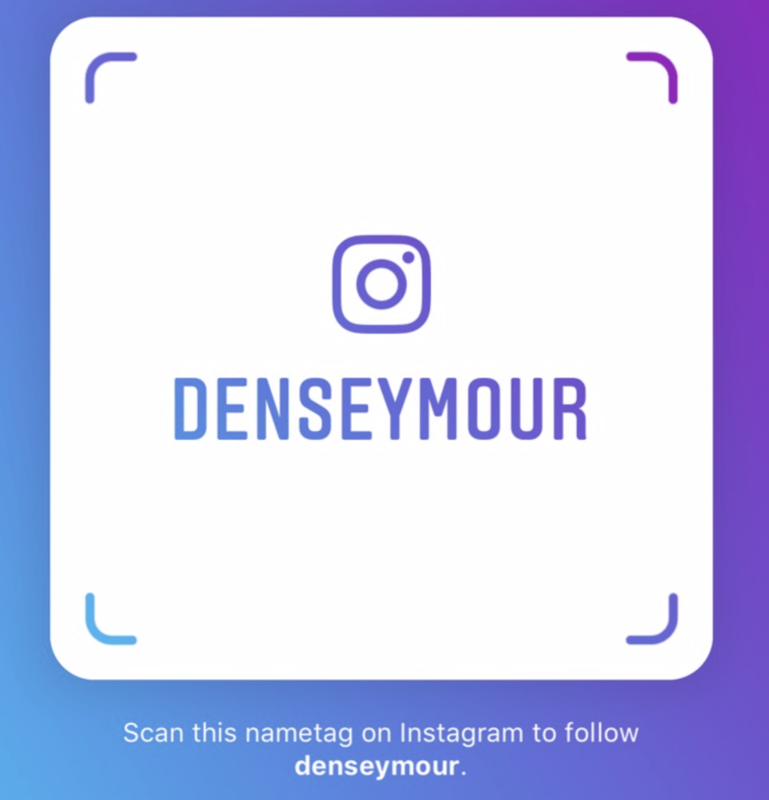 By doing this, when people find your listing on Google, they can access your Google+ page, where they can learn more about your company, from the description to your status updates and they can even leave reviews. Getting on the Google map can mean good things for your business. How do you optimize your Google+ pages? Well, for starters, you can make sure that all details about your company are there. I strongly advise you to upload a clear picture too. The picture should be related to your company, like a logo, or maybe a picture of you, specifically a headshot. Please don’t use a picture of your dog or your cat since you want people to identify with you. Your followers’ comments and reviews will also appear on the listing, so it’s better to improve your services to get those good reviews. 4. Optimize Your Social Pages. Your business listings aren’t the only things that should bring you more business. If your company has social networking pages, make sure that the details found there, as well as the pictures, are similar to those found in the directories. Information should also be complete as much as possible. Use Location-based social networking sites. Again, social networking sites like Instagram, Facebook and Twitter aren’t the only websites you should look into when promoting your business. 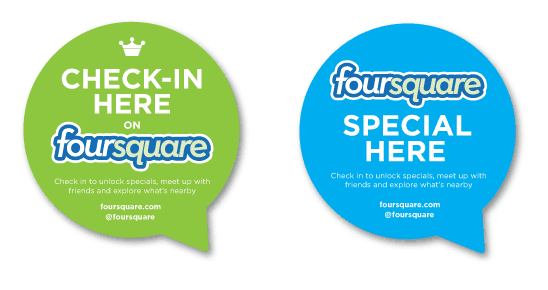 There are several location-based platforms that will help bring people through your physical doors, such as Foursquare. Have you seen this on a door before? Don’t lie! With Foursquare, you can create a business listing and optimize it in such a way that people are encouraged to “check in” to your venue and leave tips about it. Plus, if you do get enough engagement going, Foursquare’s algorithms are more likely to bring your listing up its own SERP. Oh, and Foursquare listings can rank on Google’s results which adds to your brand’s presence. Another site to optimize for local SEO is YouTube. It uses a video’s geo-location, which allows users search for and watch videos from specific regions. You can actually “geo-tag” your videos to link or embed it into your company’s location on Google Maps. 5. 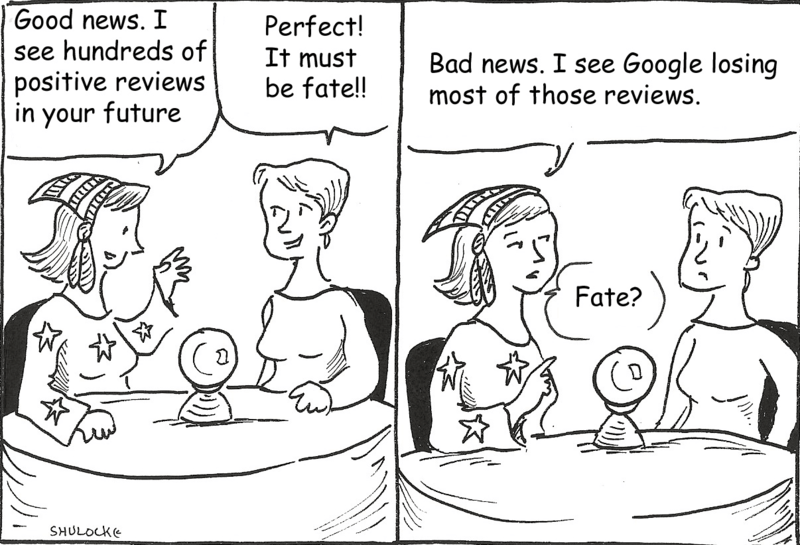 Encourage your customers to give you reviews. Make sure that your websites allow people to post comments and reviews, from Facebook’s Local Business page, your Google+ page, and even Foursquare. Getting positive reviews will send a message that you do care about your customers by getting feedback on how you can further improve your services. A comments section will also serve as a platform through which you can communicate with your customers regularly. Getting comments on your classified-ads websites, though they don’t add to local SEO, is still important, especially in terms of social proof that you are legit. The hard part is getting those reviews, especially since it’s usually optional. This is an advantage for sites like EBay, where, when transactions have finished, customers and sellers are required to leave feedback. 6. 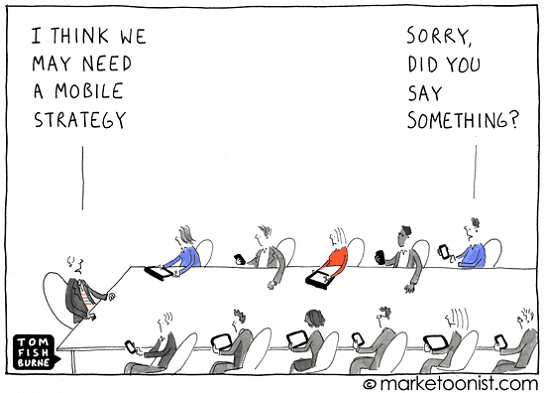 Don’t underestimate mobile marketing. Nowadays, there are hardly people who don’t own smartphones that feature GPS systems. Businesses can’t go without mobile marketing nowadays. Now, when they use these gadgets to look for businesses, they will receive results that are relevant to the searched keywords, as well as the position of the mobile user. Google itself has set algorithms that will help people look for local businesses based on their positioning. Knowing this, I advise you to tweak your website in such a way that it will be mobile-friendly, meaning that the content can be clearly seen using a mobile phone. For those that want to keep it simple, make sure your site has a responsive design. 7. Pay-per-click ads are a good way to guarantee a spot on the SERPs. See the ads at the top of the search results? What would it mean to you to have your site show up there? Wouldn’t you want to show up there as well? Those are PPC ads. They require you to bid/pay for that coveted position, but once you’re able to generate a lot of clicks for your ad, you will find out later that the cost you pay per click will ultimately get lower. You can read more about PPC and how it works here. PPC is one of the mainstays of digital marketing. Speaking of pay-per-click ads, you also have to pay attention to your landing page. The landing page is where people will be directed once they click on your ad. This page should contain the information that computer users are looking for, and the site should also have the user’s convenience in mind. Your goal would be to create an appealing landing page that will entice people to stay on that page, browse its content, and eventually become customers. As a bonus, if the landing page is good enough, you can expect your costs per click to lower as well. 8. Getting press on the top newspaper sites. Here, you get exposure for your store through the recommendation of other credible and trusted sources, like the news. You could either write a press release, or up your service to the point that a famous figure or an author will write about the service he experienced from your company. Here in the country, there are a lot of news sites. From Inquirer, Star, Manila Bulletin to the local content rockstar, Rappler. If you can swing it, you can even ask the writer with a good reputation/following to review your service for free. Getting your name or brand in the news can mean great exposure. With a press release, even without a link, just a mention of your brand will go a long way. And these newspaper sites rank very well, so that press release will give you that credibility that’s crucial to success. 9. Do your keyword research. Local SEO wouldn’t be SEO without keyword optimization. Doing your keyword research will also help you improve your site, PPC ads and landing pages. You see, keywords play a significant role in getting your site to the top of the SERPs. You have to know the correct keywords and keyword phrases to use, as well as how often you should use them on your website. Want your content to open more doors? Work with these. That said, I advise you not to focus on keywords too much, since at the end of the day, the actual worth of the content of your website is what matters. Remember too that you have to avoid overusing keywords, or keyword stuffing. 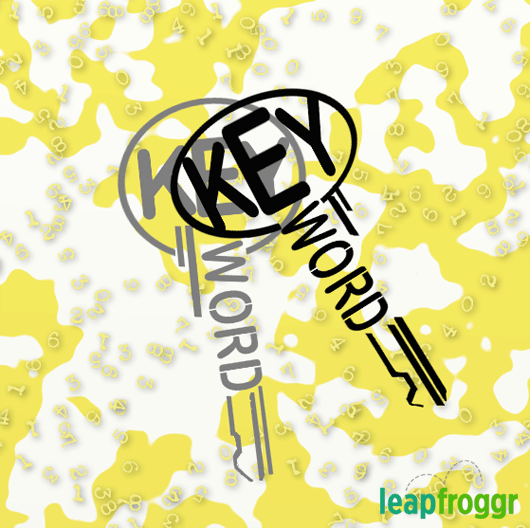 Find out more about keywords here. 10. Establish Yourself and Your Brand as an Author. 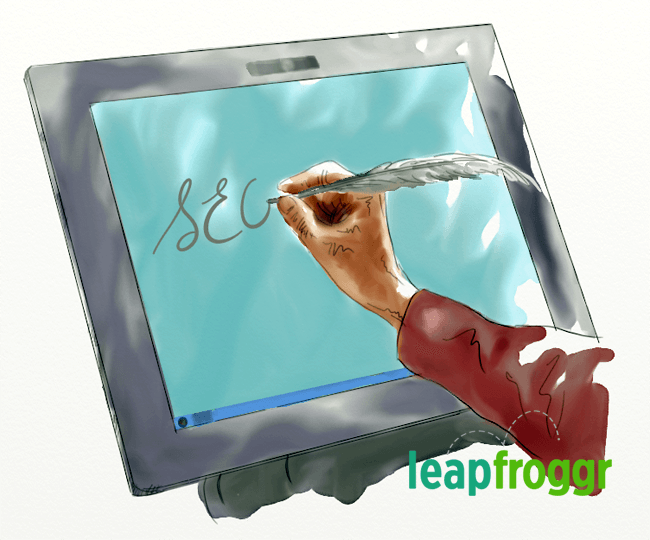 Authorship is important for SEO in general, but isn’t a direct factor for local SEO. Being the author for the content on the site might get you more trust and clicks, though, and while not yet proven, it’s said that Google might also look at the author’s location that might help with local visibility. Authorship can help you establish your reputation as an expert in your niche. You can establish an online presence by being a reliable source of relevant content. 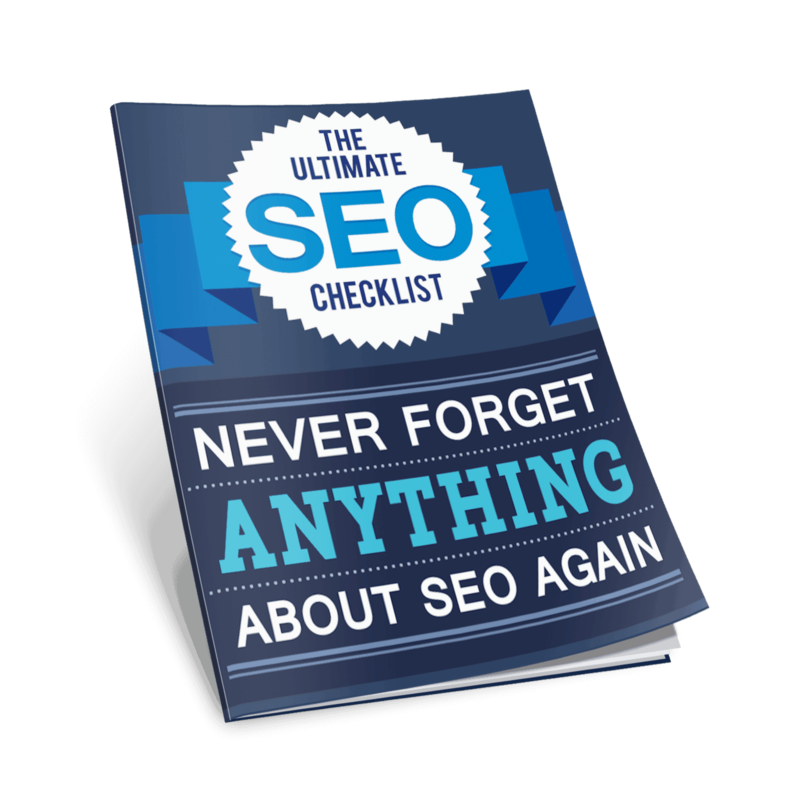 Of course, if you want search engines to see you as an author, then you should be willing to frequently generate high-quality content that is important to users. It’s not as easy as you might think, since it involves a lot of extra research and work on your part, but I do think that this additional form of studying will be good for you. It’s not a waste of time because you’ll be learning a lot, too, and knowledge is important to have when you want to be an expert. True, authorship has been removed from Google’s search results but the algorithm is still probably there. Google’s publisher code is still active so that means they have a plan for it in the future. 11. Put up listings on classified ads sites. It may seem such a banal thing to do, but I do believe that doing it will work well for you, especially if you are just starting out. You should take advantage of classified ads sites to promote your business and to sell your products. Most of these sites also have features that will allow you to communicate with a buyer and other sellers, so you can use this as a medium to engage with potential customers. There are a lot of classified ad sites in the Philippines, including ayosdito.ph and olx.ph. Abroad, Craigslist and EBay are very popular. These sites will provide you with everything you need to set up a store. However, there are millions of people like you who want to promote their other businesses and sell their wares from these platforms, so you have to make your storefront pop out. Classifieds websites will help increase your business’s visibility, and in these sites, you can also optimize your page to rank better and take over the front spots on their built-in SERPs. Don’t forget to link your classifieds accounts with your other business pages. All of your rankings, from your site’s rank to your social media ranking and other rankings on classifieds websites (AyosDito, OLX), will then secure you at least four spots on the main SERPs (Google, Yahoo, etc.) especially if they are already showing up within the first 3 pages if the results. There are plenty of tools that will help you with local SEO. It’s just a matter of knowing where to look: to that end, talking to others who also engage in SEO can be very useful. Good e-commerce communities often have thriving online forums where they exchange recommendations and suggestions for tricks and tools of the trade. 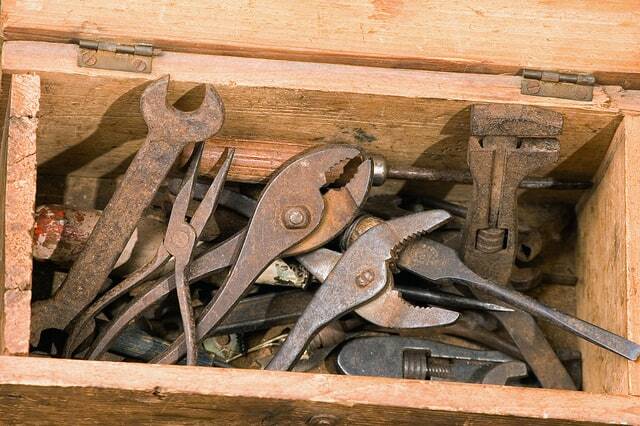 Everyone needs a good (SEO) toolbox. Not all of the good SEO tools are costly, either: in fact, several are free. An example is 51 Blocks’ Analysis Tool for Google Places, which will help you analyze your site for local SEO, and also guide you in optimizing your citations. The Schema Creator is another free tool that will help you create the right HTML content and structure for your website’s rich snippets. There are also premium tools that you can invest in, like White Spark. Although it is a paid tool, its website allows you to try out its services for free. Whitespark will provide you with a lot of tools and services for local SEO, such as a local citation finder, local rank tracker, review generator, citation building services, etc. On the other hand, if you would like to use a tool that that has the complete local SEO package that’s suitable for a specific business size, then you should check out Bright Local. Bright Local is a premium tool, but if you want to give it a test run first before availing of a package, you can sign up for free, and you will be provided with a free trial for your chosen package that lasts up to thirty days. Bright Local actually has most of the tools and services that you would need to optimize your website with local SEO in mind, create and manage your citations effectively, compete with other businesses for visibility, get more reviews, find out where you currently rank, and many more. 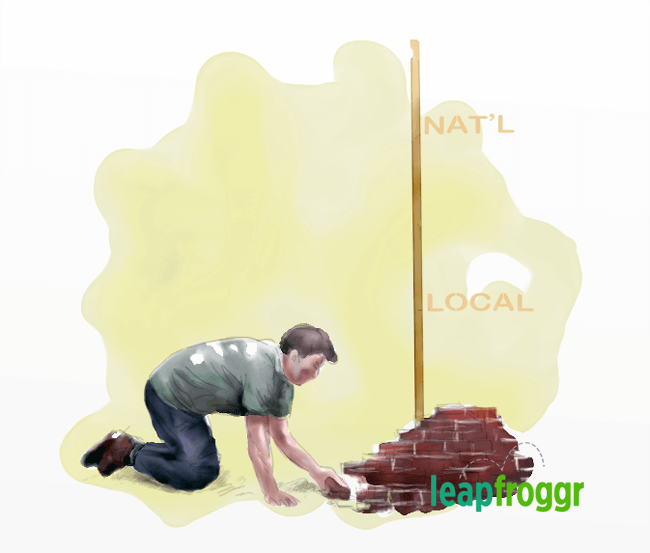 If you’re serious about doing your own local SEO, you may want to try it out. There’s more where that dozen came from. So that makes the 12 tips I said I’d give you. 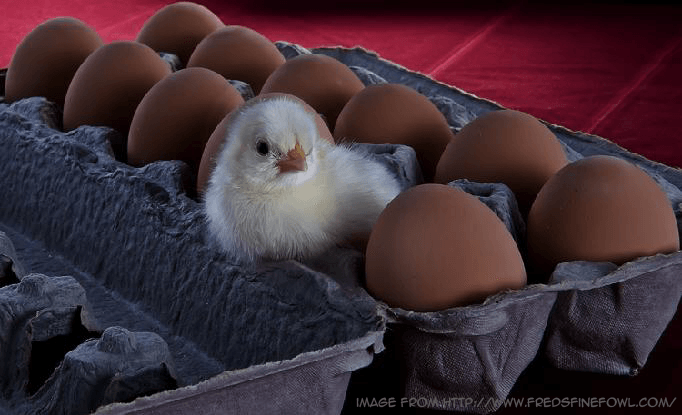 But that’s really just a starter set: as the caption for the image above indicates, there’s more to come yet from the hen that laid those eggs. Local SEO is a pretty deep field, and I can’t give you all or most of the techniques in a single article. I actually have at least 12 more in my head right now. There are even more strategies that you can exercise to get exposure, traffic, and profit for your company besides the ones here. Still, I suggest that you focus on the tips written above when still starting out, since they’re probably the easiest to do on your own, not to mention some of the most effective. Then, if you want to try more, just stay tuned and I’ll dish out more tips for you to use. You can also sign up for our newsletter at the top bar or the lower right scroll up box. I have also prepared an internet marketing book for small businesses here so take a look! Thanks for these tips Dennis. I’m still a newbie when it comes to SEO. I’ve been reading a lot of tips online on content marketing and SEO.